Ethereum Price – What Determines the Price of Ethereum? Ethereum is the second biggest cryptocurrency behind Bitcoin. It has a current total market capitalization of over $94.50 billion, thanks to the titanic surge of most digital currencies this year. 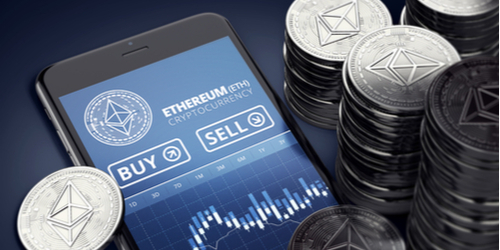 Although it remained smaller compared to Bitcoin, Ethereum has outperformed the latter as it accumulated a gain of more than 4000% in 2017 amid growing interest of investors to digital assets, which also steered an unprecedented rise in its market price. In case you wonder, there are some important factors on what determines Ethereum price. These are major market movers that set the direction for digital currencies, either going up or falling down. Let’s take a look at these major elements. Broad Functions – Ethereum is known as multi-purpose digital currency. Its broad functionality has lured investors toward the market. Today, thousands of business owners and companies are turning to Ethereum as it can be used as decentralized ledgers, incentives for developers, and for customizing block chain technology. Huge firms like JP Morgan Chase and Intel Corp are some big names that utilized the cryptocurrency. Energy Price – The price of commodity is also a big factor on what determines Ethereum price. Since it utilizes proof of work (POW) block chains, it consumes immense usage of technology. The commodity is also used in mining cryptocurrencies so the movement of energy prices can weigh in on Ethereum. ICO Popularity – The Initial Coin Offerings or ICO activities are being widely adopted around the world. Major firms in different industry used digital currencies through Ehereum platform in order to raise funds and budgets. This growing activity in ICO is a consistent main driver of Ethereum prices. Bitcoin Price – Some may be surprised on the inclusion of Bitcoin price to the list. But the movement of hottest digital currency has almost always impact with its counterparts including Ethereum. Bitcoin is known as the reserve currency and it is the most supported and most popular coin so it has a major influence to its peers. Media – The events happening around the world, political or economic, affect Ethereum price. The reports coming from the media will impact traders’ perception of their investments including digital assets.